Home » Rants & Reason Blog » The Reason: Why an extra day for filing federal income taxes this year? The Reason: Why an extra day for filing federal income taxes this year? Wondering why your taxes aren't due until April 17th this year? Americans got an extra day to file their federal income taxes this year, but few people know why tax day is April 17. Normal deadline is April 15th, except when the 15th falls on a weekend, which means that this year’s tax deadline should have been yesterday, Monday, April 16, 2018. Yet the IRS gave taxpayers still another day and federal filing deadline is today, Tuesday, April 17, 2018. The U. S. Constitution went into effect on March 4, 1789. It authorized establishing a new district, not part of any state, as the national capital. Article I, Section 8, Clause 17 provides that the district will not be self-governing, but will instead be governed by the U.S. Congress. The capital was established on land ceded to the federal government by the state of Maryland, and is called the District of Columbia. The city was named for George Washington. 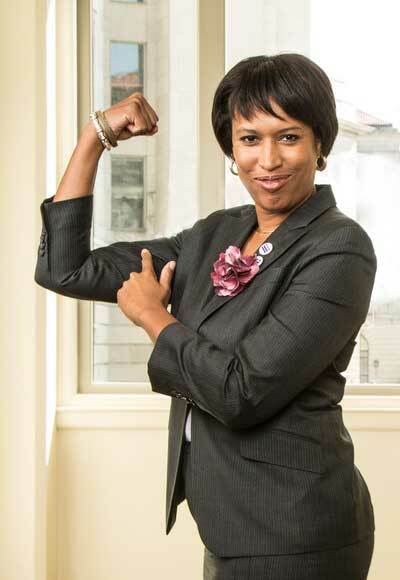 Washington, DC Mayor Muriel Bowser said Washington Emancipation Day was to create support for the campaign to have D.C. declared the 51st state. Many of the wise Founding Fathers believed that federal employees should not have representation in Congress and should not be allowed to vote in presidential elections. The idea was that federal employees should not be involved in politics, that they should, in effect, be non-partisan servants of the people. The Founders figured most federal employees would live in the Federal district. Thus it remained for 172 years until the Twenty-Third Amendment was passed in 1961. It allowed D.C. residents three votes in the Electoral College. They still had no congressional representation and were governed by the congress and the president. Twelve years later in 1973 legislation passed allowing D.C. to elect a mayor and city board. However, Congress had and still has the power to overturn any laws promulgated by the elected mayor and board. During the 1980s, a movement developed to allow the District of Columbia to become the 51st state. A bill allowing D.C. statehood was defeated in the House of Representative by a vote of 277 to 153 in 1993. It has not come to a vote since then. However, as a result of that statehood push, D. C. residents were allowed to elect two “shadow senators” and one “shadow congressman.” These “shadow” legislators do not actually have votes in Congress, and their role is essentially to act as lobbyists to persuade Congress to grant statehood to D.C. Presidents Bill Clinton and Barak Obama were proponents of statehood for D.C., as was Hillary Clinton, the Democratic presidential candidate in 2016. On April 16, 1862, President Abraham Lincoln signed the “Compensated Emancipation Act,” under which slave owners in Washington, D. C. were paid $300 for each slave set free. It is estimated that about 3,100 slaves were freed in D.C., and the slave owners were paid a little under a million dollars in total. No slaves were freed elsewhere in the country until Lincoln’s Emancipation Proclamation, an executive order, freed slaves in states that “then be in rebellion” on January 1, 1863. The Emancipation Proclamation was a symbolic act, a strategic war measure, but actually freed very few slaves; Lincoln’s government had little real control in the rebellious states. Slavery was finally abolished in the United States when the Thirteenth Amendment was ratified in December, 1865. Moving forward another 140 years, then-Washington, D.C. Mayor Anthony Williams signed city legislation on January 4, 2005, commemorating the Compensated Emancipation Act and creating “Emancipation Day” — April 16th — a public holiday in Washington, D.C. It is strictly a local holiday in Washington. Everywhere in the United States — except the District of Columbia — all workers, including civilian and military employees of the federal government, were expected to report for work yesterday, Monday, April 16, 2018. The Post said further that Mayor Bowser declared the Emancipation Day celebration was intended to develop support for statehood for the District of Columbia. “…Bowser’s hopes that the District could become the 51st state were deflated when Hillary Clinton, a self-proclaimed champion of the cause, lost the presidential election…” the Post concluded. All departments of the federal government worked as usual yesterday. The reasons the Internal Revenue Service, a part of the Department of the Treasury, decided to defer the tax deadline are still unclear. Maybe it was simply unprecedented kindness and mercy from the IRS. Nevertheless, no procrastinating taxpayers were known to object.